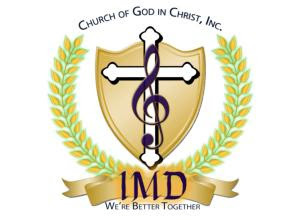 The Tennessee Fourth Music Department is the leading Jurisdictional Choir of all the Jurisdictions in the Church Of God in Christ! Of course, we are biased. But, all you have to do is listen to them and you would be hard pressed to rate them anything less than simply the best. Under the strong leadership of Evangelist Barbara Sago, the choir excels in providing music for Jurisdictional events and to the Body Of Christ. The choir can sing anthems, hymns, traditional, contemporary or whatever style of Gospel music that is needed for the occasion. The choir has recorded multiple projects over the years. The TN 4th Band with Derrick ‘The Maestro’ Jackson is a force like no other. So, again we say the TN 4th choir is blessed and anointed. Check the choir out on YouTube and Facebook. CHECK OUT THE CHOIR’S LAST PROJECT!!! MEMPHIS, TN (Friday, October6, 2017) – – The Tennessee 4th Mass Choir’s current radio single “God’s Been So Good To Me” (Jelama Music Group) is available now for streaming and purchasing. “God’s Been So Good To Me” is the lead single from the choir’s forthcoming sophomore release Excitement of Praise. “God’s Been So Good To Me” is a tune channeling the Gospel grooves of yesteryear with today’s modern instrumentation. The memorable refrain alongside the band’s signature bounce provides the listener with an opportunity to reminisce upon the goodness of The Lord. Blaring horns and organ riffs underpin the question prompted by the choir which simply states, “Do you have the time to talk about Jesus?” This song is for anyone who has ever experienced the excitement that comes from God consistently delivering on His promises – which is everyone! Slated to release in the Fall of 2017, the forthcoming album features Derrick ‘The Maestro’ Jackson on keys, powerhouse, soloists, Carla, Tolbert, Taylor and Kathy Taylor, and laces in the smooth vocals of Shae Norman. Bridging the contemporary praise and worship rhythms of today’s music with songs such as The Report and Great God with the traditional anointing of old-time church found in the tune Thank You Jesus, it serves as a solid reminder of God’s grace, goodness, and love for all those who take a listen.